Being Established for Decades, This is One of the Largest Nurse & Care Staff Service Providers Supplying A High Volume of Staff into the High Growth, Medical and Aged/Health Care Industries. Having Secured a Large Percentage of Market Share, Via Supply Contract, and Being a Preferred Supplier to the QLD Government and Major Market Players. Enjoying a High Inbound & Repeat Job Request Rate, From Across a Diversity of Long Term Loyal, Medical & Aged Care Industry Clientele. 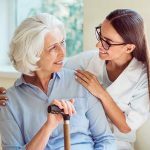 This is a very long-established provider of nursing and care staff, to a very large network of medical; including many hospitals, medical centres, day surgeries etc and aged care/retirement facilities, and community service organisation clients. Many having a supply contract in place, or this large market player being their main, long term preferred supplier for a high volume of their nursing and care staff needs. This is a major market player, providing a high volume of staff per annum, and supplies many of the notary and market leading players within these two, fast growing industries. Having already secured notary clients trust, including Government clients, due to being one of the most systemised, and procedure-based operations. Staff manage the day to day operating of this business on behalf of this flexible hour owner, who chooses to mainly oversee staff management and invests time in financial management duties. This is most certainly one of the most profitable nursing & care staff recruitment companies, satisfying a large percentage of the local market. This business being well positioned within high growth, always in demand and lucrative market segments. This operation consistently places a very high number of nurses and care staff into both the medical and aged care industry’s institutions, facilities, centres, and businesses. These clients not only lead the medical and aged care markets, but they collectively, also own and operate a significant number of facilities. This business has been proven reliable and highly effective in providing both a great number of and a high quality of nurse and care staff, on-going. Able to place well trained staff into nearly every sector, within these fast-growing industries. This owner has enjoyed the fact that this business generates its sales from its high-quality list of industry clients, many of whom have been supplied staff for decades. These client job requests being 100% inbound and there being a consistent, even growing demand. Many new clients are also regularly referred to the fold. This is a fully licensed operation, and staff follow the fully documented, and already tried and proven operational systems to operate this business to an optimum service level, on behalf of this owner. This owner being left with the flexibility to invest only optional hours per week. This high and growing net income yield investment, being well positioned within the medical and aged care industries, has allowed this owner to arrive at a very comfortable financial and operational position. Simply fill in your details below to receive this business' profile. If your not yet a registered member of mercury 5 sky please download, complete and return our confiendtiality form via fax to +61 7 30 090 336 or via email as per instructions on the form. Here’s to turning Your Business into money and if you are a Buyer of a Business, we are set on helping you to put Money into your pocket by finding you the best cash flow investment matched to you.